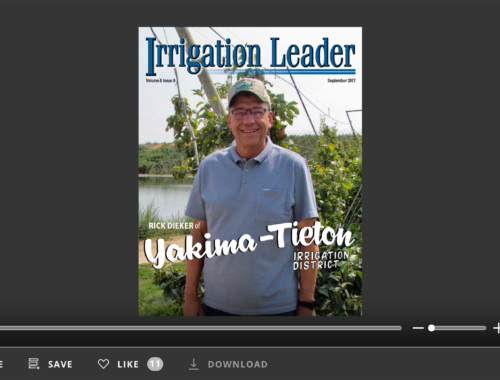 In this issue’s cover interview, Yakima-Tieton Irrigation District (YTID) Manager Rick Dieker perfectly summarizes the state of many irrigation districts across the West today: “We are living off the infrastructure investments that were made over a century ago, and it is time to start working on keeping them viable for the future.” Mr. Dieker and his peers in Washington State share the two qualities that have enabled districts to address aging infrastructure and bring their systems into the 21st century: commitment and vision. For three decades, Mr. Dieker has been thinking big about how to maximize YTID’s water savings and ensure that every drop of water counts. He discusses YTID’s efforts to fully enclose its already pressurized distribution system, which is responsible for generating more than $600 million in agricultural revenues each year. 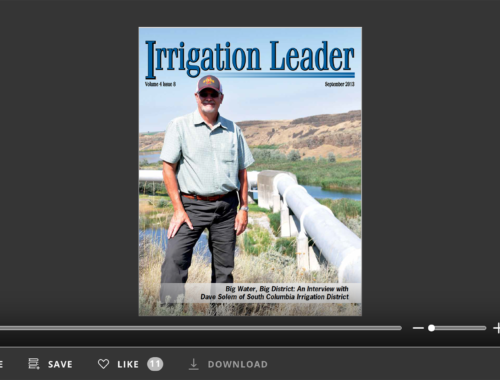 Roza Irrigation District Manager Scott Revell shares a story about building big water storage structures in an era in which that rarely happens. Last month, Roza ran water into a brand new $31 million, 1,600-acre-foot reregulation reservoir. The reservoir is part of a conservation plan that spans decades, helping the district manage its limited supplies and take the edge off droughts. 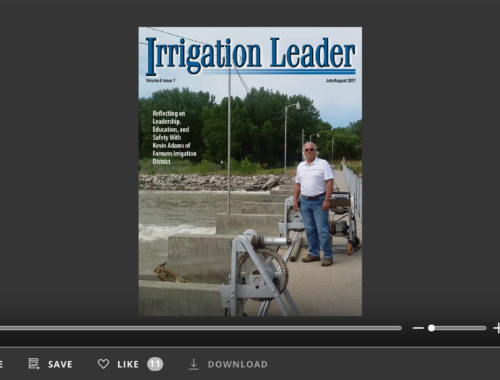 These dedicated individuals are the reason why there is an Irrigation Leader magazine. They think big and care about the people they serve.